Welcome to the latest and greatest in luxury home design! This magnificent 2015-built Artista bungalow offers over 3000 sqft of elevated living space on a prestigious cul-de-sac in Sage Creek. When you open the door to this home, the expansive 10ft ceilings, peek-a-boo lake views, pristine 6” wide plank engineered hardwood floors & maple handrails with glass inserts make it feel like you’re stepping into the pages of a design magazine! The eat-in kitchen is an entertainer’s dream with a massive 8x4 ft island, maple cabinetry, immaculate white stone countertops & high-end appliances. The great room has a stunning 2 sided gas fireplace with exposed floor to ceiling stone, and the dining room will be sure to impress with massive windows & sliding doors leading to a covered deck area to enjoy the lake view! 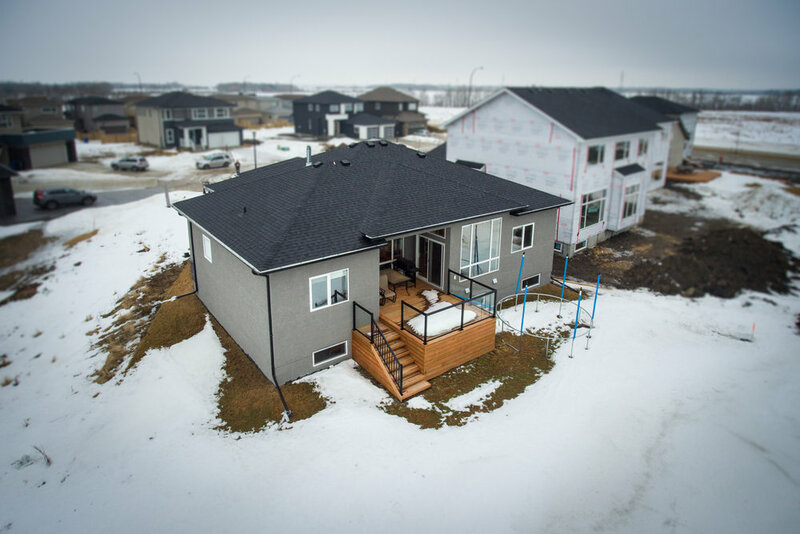 This is the BEST LAYOUT for a bungalow-- the private master with luxurious en-suite with soaker tub, glass/tile shower & heated floors is located in one wing and the other 2 bedrooms plus 4-piece bathroom are located in the other. The basement is FULLY FINISHED with 9ft ceilings, tons of storage, an enormous rec room (plumbing for wet bar/wiring for sound system roughed in for future development) and 2 additional bedrooms & large 3-piece bathroom with heated floors. Nothing was overlooked in this home—central-vac, steel beam construction, piled foundation, textured acrylic stucco and exterior stone, 200 amp panel, hot and cold taps in the garage are all ready and waiting for you!